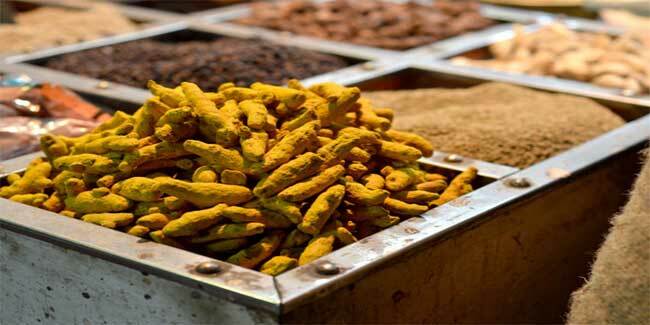 A new finding published on world TB day suggests that a component of turmeric can help to fight against drug resistant tuberculosis. This chemical component of turmeric named curcumin was studied for its potency against TB. This study was performed in University of Colorado. As we all know turmeric is the most used spice in Indian kitchen as is used as natural remedy for treatment of several common diseases. Turmeric is known for its antiseptic, anti bacterial, antioxidant and anti carcinogenic properties from long back. In the study the researchers found that curcumin activates the macrophages, the cells from immune system. The macrophages in turn engulf the Mycobacterium tuberculosis removing it out from the system. Curcumin is known to inhibit the activation of nuclear factor kappa B. This ability of curcumin to control immune response of tuberculosis bacteria will help to prevent from drug resistance. This study reveals the potential of curcumin against the infection of mycobacterium tuberculosis. But it need further research for its potential against multi drug resistance.